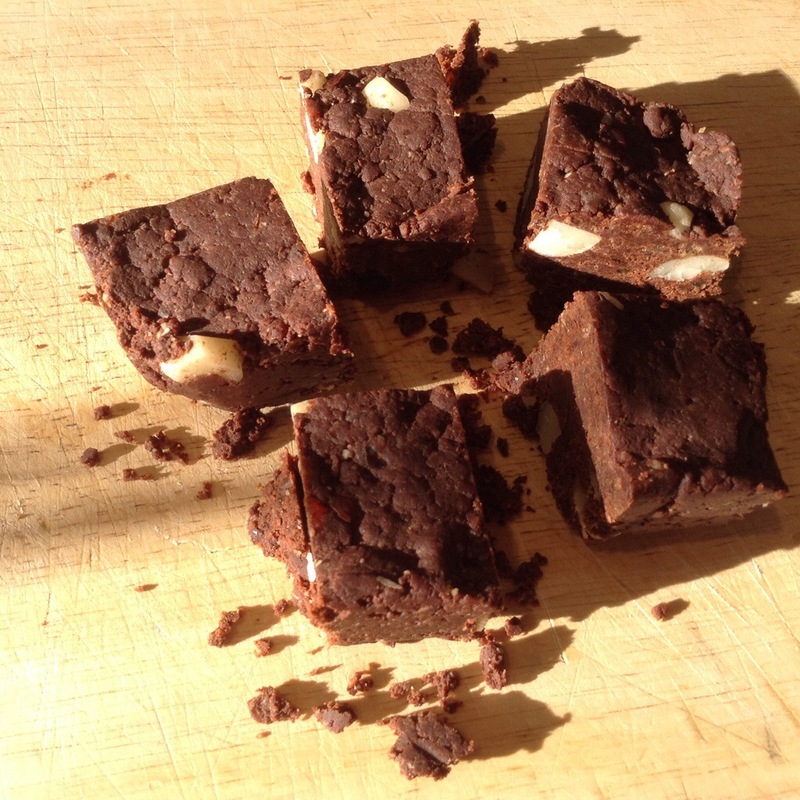 Looking for a sugar free pudding for some friends coming to tea, I stumbled across this truly fabulous recipe for a raw brownie. I’m not particularly into raw – I have enough dietary restrictions as it is – but this has certainly made me think about raw food a bit more. My two boys think it’s a massive treat to get a piece of this. I have to be a bit careful as the dates contain a lot of sugar – but I treat myself to a piece every now and then.